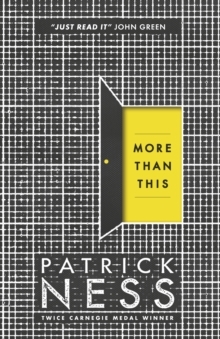 From two-time Carnegie Medal winner Patrick Ness comes an enthralling and provocative new novel chronicling the life - or perhaps afterlife - of a teen trapped in a crumbling, abandoned world. A boy called Seth drowns, desperate and alone in his final moments, losing his life as the pounding sea claims him. But then he wakes. He is naked, thirsty, starving. But alive. How is that possible? He remembers dying, his bones breaking, his skull dashed upon the rocks. So how is he is here? And where is this place? It looks like the suburban English town where he lived as a child, before an unthinkable tragedy happened and his family moved to America. But the neighbourhood around his old house is overgrown, covered in dust and completely abandoned. What's going on? And why is it that whenever he closes his eyes, he falls prey to vivid, agonizing memories that seem more real than the world around him?